On February 11, at 19:20 an emergency call was received to “911” service that a car was burning near 12 Nansen street, Yerevan. The fire was isolated at 19:32 and extinguished at 19:34. 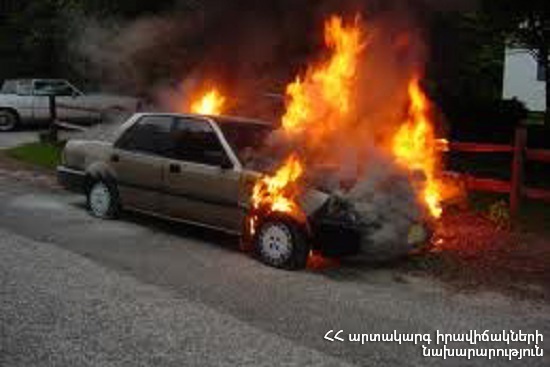 The engine with wires (1,5 running meters) of “Renault Logan” car burnt. The rescuers disconnected the automotive battery and closed the gas valve of the car.